A month ago I posted a beta version of a simple models house for wargamers and role players. I’ve had some feedback on it: a request for chimney stacks, variations of the ends and an extension for the ends. I’ve also added some assembly instructions too. 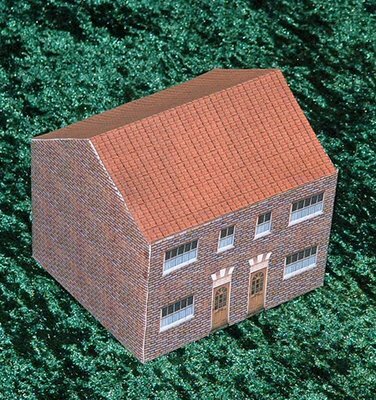 I’ve posted the first of the PDFs this morning (25mm House Model) and I’ll make the other PDFs over the next few days and upload them as I do.